Top dressings are a fast and easy way to pull a succulent creation together and give it a polished look. These decorative materials can transform a creation with just a sprinkling of pebbles, a dash of sand, or a pinch of colorful moss. We'll give you a run down of how to use the wide variety of shapes, colors, and textures in Mountain Crest Gardens' full assortment of top dressings to help you style your creations. Lay out all of your materials and plant the container as you normally would. The top dressing will cover all of the exposed soil, giving the arrangement a full look, even if you use fewer plants. 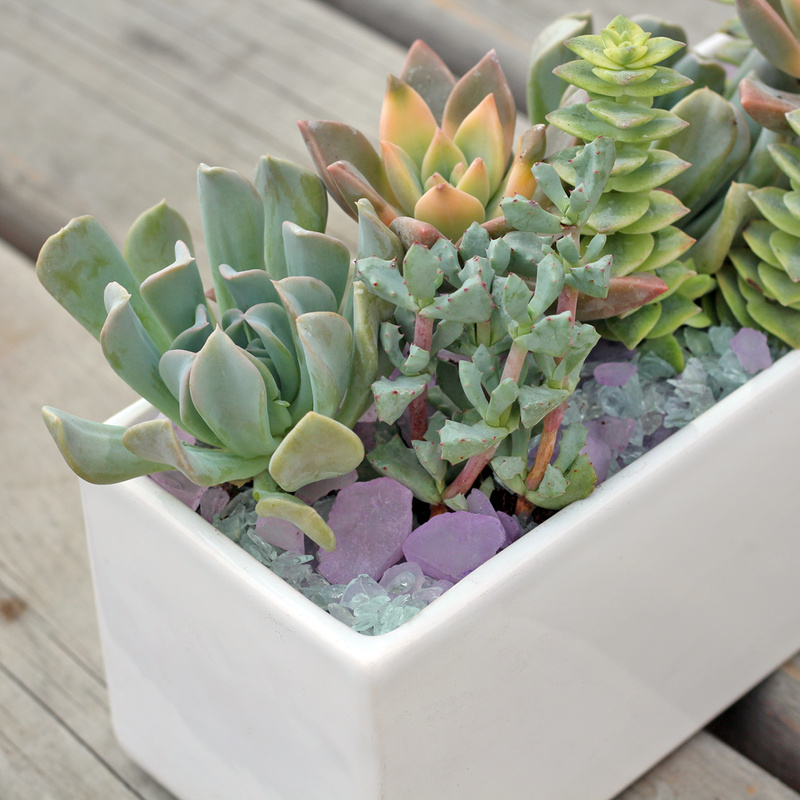 There are two general directions you can take when selecting colors for top dressings: match the color tones of the succulents or pick contrasting colors that will make your plants pop. 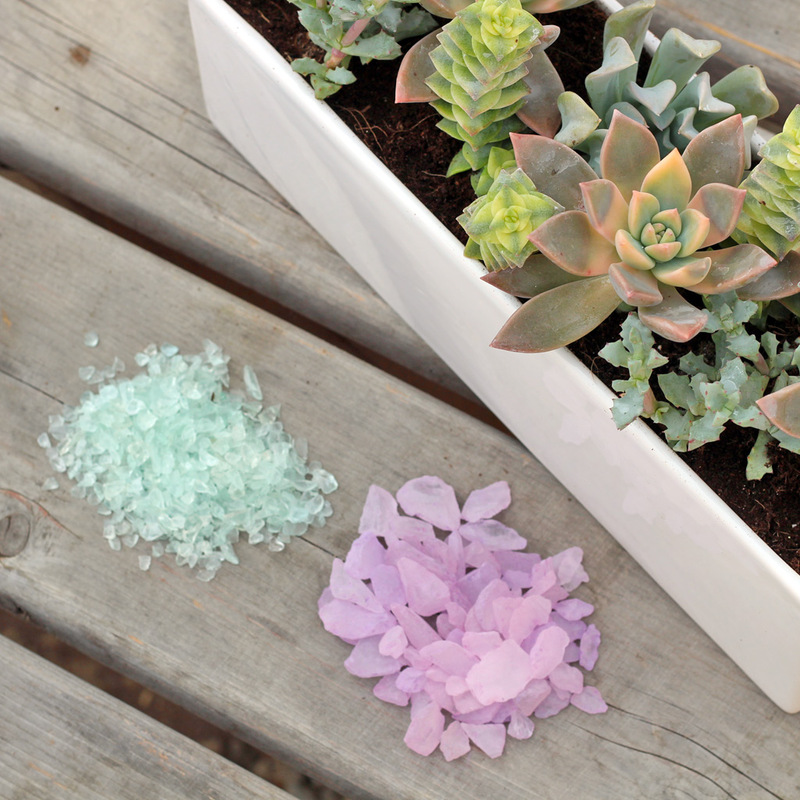 For our demo, we picked colors that fit the pastel palette of our plants. As for the size of your top dressing, finer grains are the right scale for small pots while larger pieces tend to be a better fit in bigger containers. There's no limit to the ways to mix succulent, pottery, and top dressings; below you'll find some of our favorite combos. Top dressings come in so many colors and textures and it can be fun to combine them for a tiered effect. These different dressings blended together transformed a simple succulent in a glass votive into something special and unique. Above is a wonderful example of top dressings in a glass terrarium. The plants shown, air plants (Tillandsia), grow without soil, so top dressings are the perfect media in which to display them. The natural colors of the sand and river rock give it subtle elegance without drawing the eye away from the plants. For containers that are raw and natural, such as these copper cubes and wooden pot, a touch of colorful moss makes for a fun contrast and a pop of color. We hope these ideas got you buzzing with all the creative designs that are possible with top dressings. 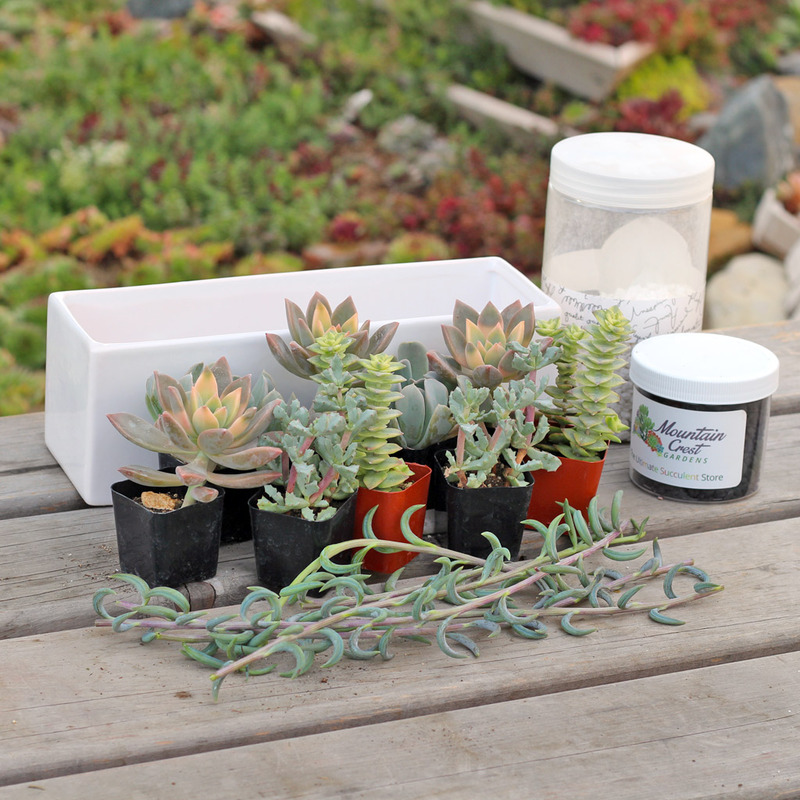 You can browse through all of the planting accessories Mountain Crest Gardens has to offer by following this link and be sure to share your creations with the succulent community over at Customer Photos.